– Have a missed text… slide to the right and iOS will take you to the Messaging app to return the text. – The same goes for any notifications that you have enabled. Just slide it and iOS will take you to the app. -When texting or emailing you can double tap the space bar to insert a period. -If you want to type in all CAPS just double tap the shift key. -When in the texting app to dismiss the keyboard swipe down starting from the message area of the screen. Bring the keyboard back by either tapping on the area with the blinking cursor or swipe up form the same area. -When using the backspace just hold it down and it start to delete words at a time instead of just letters. -A quick helpful shortcut when using the keyboard is to hold down the “. ?123” key and drag your finger to the character you want, when you lift your finger it will snap back to the keyboard so you can continue typing. -Activate Emoji by going to Settings>General>Keyboard. then scroll down and tap International Keyboards>Add New Keyboard. Then scroll down and select Emoji. -Change the keyboard layout from Qwerty to Azerty or Qwertz. Follow the same path as activating Emoji above. When in the International key board section just tap on English and you will be able to change the lay out. -Download any app that you have purchased form any other device. This works if you use one Apple iD across multiple devices. Just open the App Store and got to Updates, then at the top of the screen there will be an option for Purchased. When you go into Purchased you can filter All or Not on this device. Any App that you have already purchased and is not installed on that device will show a Cloud icon with and Arrow in it. You can then tap that to download it. -Automatically download Music, Apps, and Books to all of your devices. This will enable you to make a purchase on one device and that purchase will auto download to any/all other devices that you Apple id is on. turn this on buy going to Settings>Store, then turn on the time you want downloaded to all devices. -If you like a picture that you find in Safari just tap and hold on that image to get options to copy or save to your camera roll. -If you find a web site in Safari, Say ElectricSproket.net for instance. Just tap the “+” button at the bottom of the screen to add a book mark in Safari or you can also add it to your home screen. -To quickly navigate between pages on the Home screen, tap left or right of the page dots at the bottom of the screen and just over the Dock. 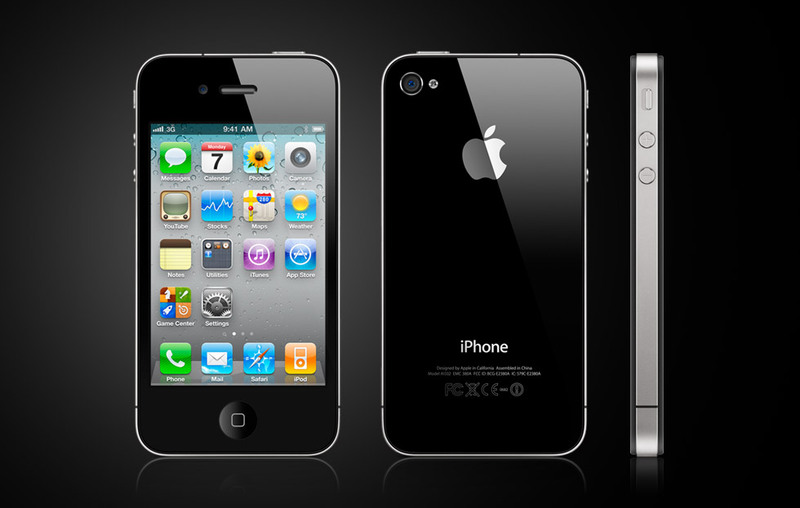 -To quickly jump aback to the top of the screen just tap the status bar at the top of the display. -Take a screen shot of anything while in any app, hold down the Home and Sleep/wake button at the same time. -In Notifications Center swipe on the weather to get the weekly forecast. -Use the new dictionary. Tap and hold any word then when the options appear select Define. iOS will give you the dictionary definition. -Have iPhone speak selected text. got to SettingsGeneral>Accessibility then tap Speak Selection. Now when you tap and hold to highlight any word or group of text you will see and option for Speak. tap speak and then iPhone will read it to you. -Use your camera flash for Alerts when you get a text or call go to Settings>General>Accessibility then scroll down to LED Flash for Alerts and turn it on. Want to know how much space is left on you device? Go to Settings>General>About. There you can find how many Songs, Videos, Apps and pictures you have on your device. You can also see the capacity and the Available capacity that is left. One last thing I think that is greatly over looked Using the multi-tasking function. If you have a bunch of apps suspended in the background it is also using up some of the phones memory. Just double-click the home button and hold down any one of the icons until it goes into the wiggle or edit mode. Once there tap the red icon on the top left corner of each app until they are all closed out. If this is not down regularly your device can start to do unusual things such as, it may run slower that normal, it may also freeze or lock up or may even reset itself. To fix many issues you might come across all you have to do is turn the phone off and back on again by simply holding down the Sleep button on the top edge of the device. If you come across a more serious issue, do a hard reset by holding down both the home button and the Sleep buttons at the same time. Keep holding them until you see the Apple logo come up on the screen, once you see this let go of both buttons and wait for it to show the lock screen. When in a bad or poor service area and your phone constantly says “searching for service” you can turn on Airplane mode until you get in an area that has better coverage. This is by far the worst for battery drain. As it constantly looks for a signal it also constantly makes your battery work harder. you can find these settings in the Settings App. – Set to Archive or Delete any email in the Mail App by going to Settings>Mail,Contacts, Calendars then Select the mail account you want to change and turn the “Archive Messages” to ON for Archiving or OFF to Delete. -When composing an email you can move the addresses around in any order or to the CC or BCC areas. Just tap and hold the address you want to move then drag it to where you want it. -Mail up to 5 pictures at one time. From your camera roll, just tap the arrow icon at the top of your screen then tap up to 5 pictures. Immediately after tapping a pic the options at the bottom of the screen highlight then choose Share. -Format Emails with Rich text, when composing an email tap and hold then select a word or phrase. Then tap the arrow icon and a option for BIU will be available and you can select the one you want. -When interring an email address tap and hold down the period and other options will pop up to enter .net, .com, .org, .us and .edu then just drag your finger to the one you want and let go. It will pop it in place for you. Launch the Settings app>Mail,Contacts, Calendars>Add Account>(if your client is not listed choose other or Microsoft Exchange) then just enter your info on the screen. If you use Gmail enter m.google.com in the server section. Once you’re done open the Mail App and your messages will start to sync and display. 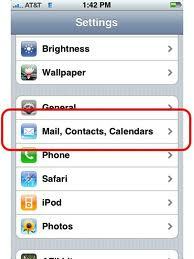 In the Mail, Contacts, Calendars app you can scroll down and select more options to customize your mail app. If you want to change or add your signature you can do so there. Here is also where you can set your time zone. 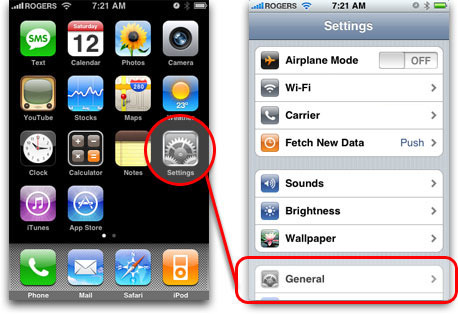 If you want to conserve battery life go into Fetch New Data and turn off “Push” and set Fetch to Manually. If you have more than one email account you can go into advanced form this area and set each account individually. -Create a new camera roll. in the photos app go to the camera roll and tao the arrow icon in the top right of the screen. Continue to tap and select the pics you want and when finished tap Add at the bottom of the screen. You will get an option to create a new camera roll and name it as well. -While in the Camera app swipe to the left to access your camera roll To easily view you most recent shots. If know of a trick or two that is not mentioned feel free to share it and I can add it to the list. whoah this blog is fantastic i really like studying your posts. Stay up the great work! You already know, lots of persons are looking round for this information, you can aid them greatly. I am writing to make you be aware of of the fantastic encounter my girl found reading through your web site. She picked up many details, which include what it is like to have a very effective teaching character to get many more really easily thoroughly grasp selected very confusing topics. You truly surpassed her expectations. I appreciate you for rendering these insightful, trusted, informative as well as unique thoughts on your topic to Evelyn. Fantastic goods from you, man. I have understand your stuff previous to and you’re just too fantastic. I actually like what you have acquired here, really like what you’re saying and the way in which you say it. You make it entertaining and you still take care of to keep it wise. I cant wait to read much more from you. This is actually a wonderful website. I love yours blog!! thx for this!